Hello! I am so happy you are considering Davenport & Co. Photography for your family's newborn portrait needs! Custom portraiture is an investment in beautiful artistry that will be treasured for generations to come. Located in Charlotte, North Carolina, Davenport & Co. Photography serves the Metro area and beyond. Be sure to read all the important information below, but also send me a quick message so we can plan your newborn portrait session. A session fee of $300 is due when your session is first scheduled. The session fee is converted to a print credit during our viewing and ordering appointment and will be applied to your total purchase. Davenport & Co. Photography offers framed portraits, custom wall galleries, portfolio boxes, heirloom albums, and museum canvas. Custom birth announcements, gift prints and holiday cards are also available. Stunning beyond measure, the true treasure of your portrait session is the creation of stunning custom portraits for display in your home. There is no minimum investment, simply purchase the images you want to enjoy in your home everyday and for years to come. Clients invest between $300-$2,000 on a collection of their favorite artwork to display and enjoy throughout their homes. Davenport & Co. Photography is proud to offer custom choices to ease you into beautiful, decorative art that will remain a joy for years to come. 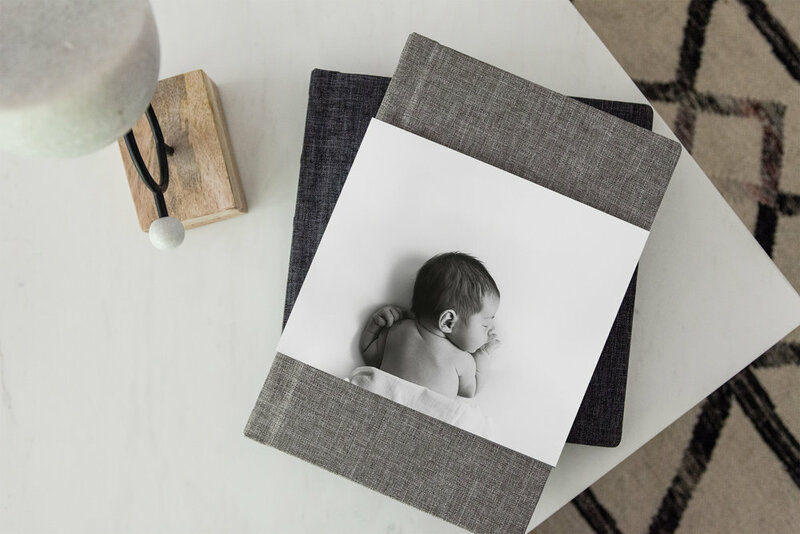 With three basic options for displaying your images, we also create custom portraits to your size needs and specifications as well as your choice of color or black and white. Need smaller prints? Our specialty 8x10 gift prints make wonderful presents for friends and family. Say hello today and we can begin to plan your custom newborn portrait session.